Stafford Place [ 59 Stafford Place, Pimlico, London ]. 24 January 1822. 2pp., 4to. Bifolium. Addressed on reverse of second leaf, with two postmarks (one of Pimlico), to 'R. Ackermann Esqre | 101. Strand -'. On aged and worn paper, with one short closed tear. 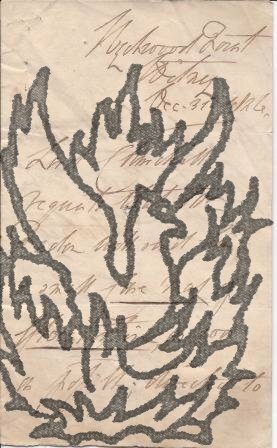 A good letter, full of content revealing of Ackermann's business and the art trade in general. The first paragraph reads: 'I am extremely sorry the last Fashions have not met your approbation. The inflamed state of my eye rendered it impossible for me to engrave them myself, and I calculated on the known talent of Mr. Chsman [i.e. Thomas Cheesman (1760-1834)] to be my substitute. 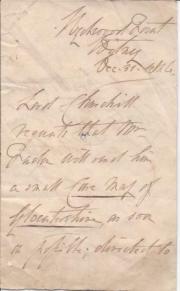 Autograph Letter in the third person to the London printseller James Caulfield (1764-1826).